Home › Toys › Crayola Ultimate Outdoor Activity Set Bean Bag Toss And Obstacle Course Games..
Crayola Ultimate Outdoor Activity Set Bean Bag Toss And Obstacle Course Games.. 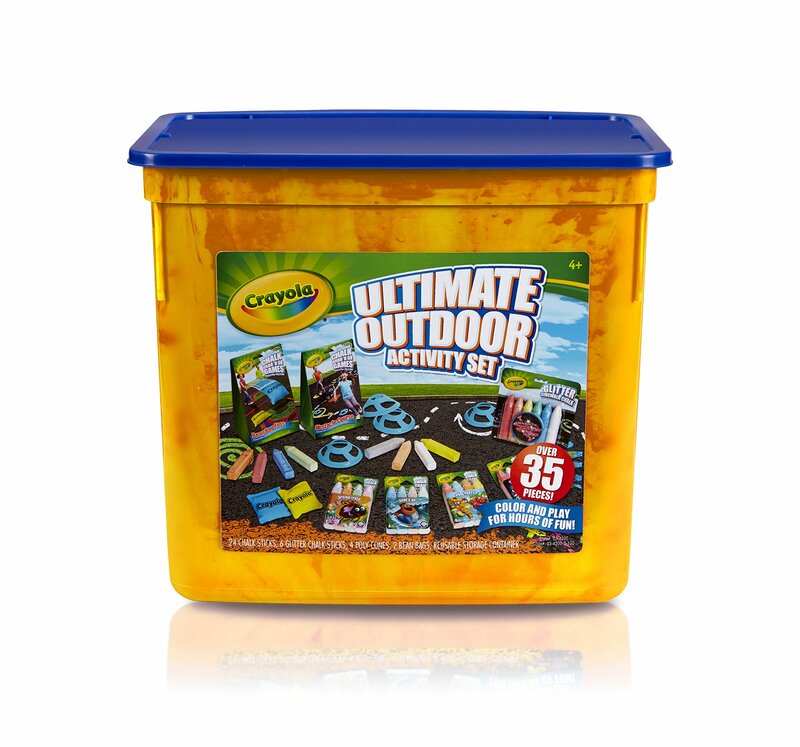 This Crayola Ultimate Outdoor Activity Set has everything kids need to createsidewalk art and play outdoor games. Kids can test their skills with the BeanBag Toss and Obstacle course games. They can add sparkle to their sidewalk artwith glitter chalk. The collectible 4 packs of chalks with fun themes willkeep kids drawing for hours. AP Certified nontoxic.